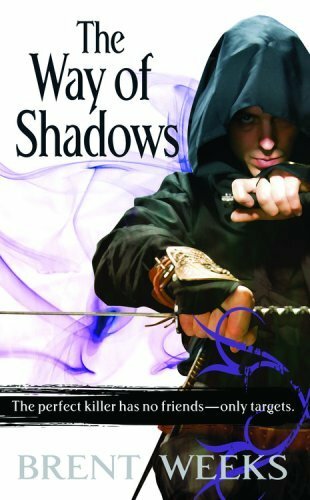 This week I’m reading The Way of Shadows by Brent Weeks. It was published in 2008 and it is the first novel in The Night Angel trilogy. As an epic fantasy book, it was nominated for the David Gemmell’s Legend Award and it is a New York Times bestseller. I can’t believe I’ve waited so long to read this book, it is amazing! I really recommend it if you like gritty epic fantasy and great characters. “For Durzo Blint, assassination is an art-and he is the city’s most accomplished artist. You can visit Brent Weeks’ website here. This entry was posted in Book of the week and tagged Book of the Week, Brent Weeks, epic fantasy, High Fantasy, Reading, readings, The Night Angel trilogy, The Way of Shadows. This is really high on my TBR list!!! This book is awesome, I really recommend it! Thanks for stopping by! I’m hopping over from GUTGAA and wanted to start visiting some blogs early! Nice to meet you…you have a lovely blog! Oh, thank you 🙂 Nice to meet you too!